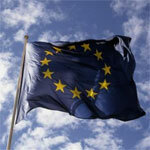 On 1st January, the Czech Republic took over the European Union presidency. But there have been speculations; especially in France, about whether this small country is actually capable of leading the Union. The question is, are these fears really justified? 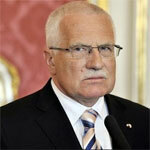 Vaclav Klaus, the Czech prime minister, applied in the 1990s, to join the EU in the days proceding the collapse of Communism. But since then, he has come to regard the Union as dangerously anti-democratic. And he does not seem too uneasy about expressing his eurosceptic views. He even refused to fly the EU flag from Prague Castle. Nicolas Sarkozy, current holder of the six-month rotating EU presidency, described this refusal as “a wound” and “an outrage”. Moreover, Klaus clearly warned that nothing would happen during the Czech presidency of the EU. “A little country has no influence on anything”, he said. However, we should not forget that the president is not alone in leading his country, as well as the EU. In fact, the liberal government seems to be less sceptical, and ready to take over the presidency. The Prime Minister Mirek Topolanek and his team have set three priorities for the forthcoming six months: the Economy (solutions to the economic crisis), Energy (energetic security), and the relationships between the Union and the world, with specific attention to the countries of the former Soviet Union. So, we can certainly understand the French worries about the Czech presidency of the EU. 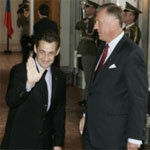 Nicolas Sarkozy does not seem to consider this little country reliable when it comes to leading the Union. As a result, the French president made clear that he would “keep a watchful eye on Europe and its piloting”. It is worth asking whether French concerns are hiding something else? Nicolas Sarkozy appears to have acquired a taste for the leading of an international institution… However, though the European deputies certainly appreciated Sarkozy’s job at times of crisis, they still believe it is time for him to go. As the French themselves say, "Everything in moderation".